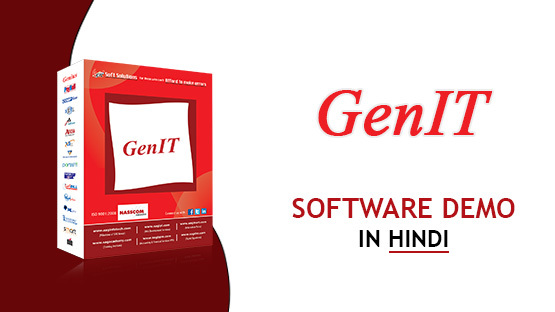 Gen Income Tax Software is a great software solution for the computation needs of Income Tax, Self Assessment Tax, Advance Tax and Interest calculation u/s 234A,234B,234C. The tool is developed to meet with our success mantra "For those who can't afford to make errors" which elaborates Gen IT perpetually. Our Income Tax return filing software is made with perfection to prepare returns and has the capability of e-filling to upload returns directly from the software. It is a subsidiary of the well known Genius software in the taxation industry. The software provides the facility to calculate the Income Tax from the Assessment Year 2000-01 onwards. The software keeps all these things functioning while obeying the various circumstances, including Chapter VI A-Deductions, adjustment of bringing forward Losses, Relevant Rebates on arrears, Unabsorbed Depreciation, Clubbing of Minor's Income and Income of Spouse. Our income tax e-filing software prepares return forms and calculates miscellaneous ratios. It automatically prepares the return forms viz; ITR 1 to ITR 7. The selection of status bound ITR and Assessee's head of income along with period dependent ITR Filing sections execute automatically. E-Filing of Form ITR-1,2,3,4,5,6,7 is available in XML Format. The Bulk contact verification facilitates users for the verification of PIN. Bulk contact verification: - This facility uses to verify the PIN directly either by accessing mail id. The user can also create an alias and forward mail on a single mail id by mail setup in GEN IT Page. The Reports for the pending status can also be generated for assessees with pending Returns, Refund Status and date wise report of return filing. Preparation of Form 49A: - Correction Form of 49A as well as online submission of the same. IN Gen-IT, there is a facility to import client master data in XML format from any software. The carry forward of Losses, NSC and KVP data takes place automatically to the next Assessment Year(s) from previous Year. In the case of Arrear Received, the software provides facility to calculate relief on it and Form 10E will be prepared by it automatically. Search [ITR ACK.No] - To view the return filing of any person, the user can use this option by simply inserting its acknowledgment number. Our software gives a facility to easily prepare and perform the e-payment of tax challans like as 280, 281, 282 with verification. To see bulk transactions and their impact on income, the separate Statement of in Tabular Format. It automatically calculates the Interest u/s 234A, 234B and 234C. The provision of Reverse Tax Calculator is also available in the software. the user can opt for Auto Import of 26AS Statement to resist the manual entries of TDS and TCS. The Adjustment of losses can be carried out as per the head of Incomes. The Maintenance of Depreciation Chart in both ways; as per Income Tax and books can be accomplished with Gen IT. The AMT Calculations, MAT Credit and auto utilization are also available in this software. Our software provides direct linking facility to the Income Tax Department official Government Website from where users can download ITR (Income Tax Return) in XML and ".PDF" Format, acknowledgment of ITR and receipt of ITR. 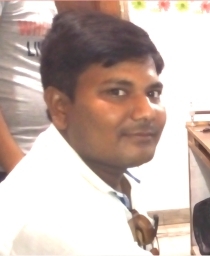 I am satisfied with the income tax e filing software and a proud dealer of Mr. Alok Sachan. 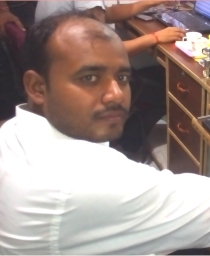 Income tax software is very simple to use and I am satisfied. The software updation is very user friendly. 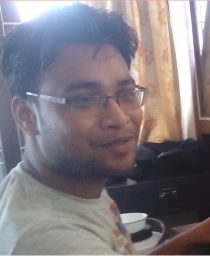 This software is very use-full and I like it very much, The work becomes easy after using this software and income tax return is uploaded soon. This is very use-full software for any taxation department. 1. GEN IT gives a facility to user to prepare & submit Income tax return in online or offline mode. 2. It also calculates advance tax and interest u/s 234A, 234B, 234C. 3. The software also allows users to do e-registration and provides various facilities such as submit compliance, rectification, revision of return and upload facility of defective returns. 4. Calculation of arrear and relief u/s 89(1) and readily uploading of Form 10E. 5. It also available in the list of software vendors of Income Tax department. 6. E-filing of return from various browsers as Chrome, Firefox, Internet Explorer. 7. It also generates of Various reports as, pending of returns, tax due, refund of tax. 8. 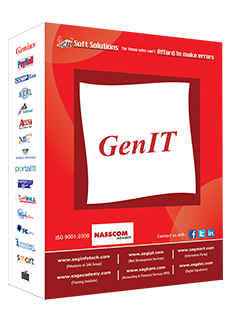 Gen IT gives a facility to generate form 49/49A and upload the same. 1. Complete client database can be managed including telephone & address book. 2. A special provision for keeping clients important documents in various formats like:- word, excel, PDF, scanned documents etc. 3. Important information like all India Pin codes, STD codes, ISD codes TIN FCs, TAN/PAN AO Codes , Bank BSR Codes, Service Tax Ranges, MICR & IFSC Codes. 4. Facility to verify PAN/TAN online.